摘要 介绍了水的热物理性质、结构性质、离子积、扩散系数和粘度等在超临界区域的特殊性,以及超临界水溶液在介电常数、偏摩尔体积、溶解性和极性等方面的特殊性质,并阐述了超临界水的这种特殊性在化学反应和环境治理中的应用. This review covers the unusual characteristic of supercritical water(SCW)including the thermo\|physical properties, structure character,ionic product,diffuse coefficient and viscosity et al. Furthermore, the special properties of supercritical aqueous solution in dielectric constant, partial molar volume, solubility and polarity were presented. 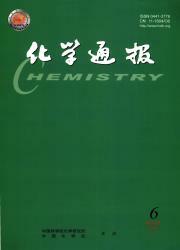 The applications of SCW in chemical reaction and environmental protection were also introduced.